Scroll down for a list of activities to improve these skills. Fine motor skills require movement of small muscles, usually in co-ordination with the eyes, but also include movements of the tongue and lips, wriggling of the toes and foot-eye co-ordination. They are often for communication purposes, both functional and expressive, e.g. writing or typing text, manipulating tools or creating works of art. 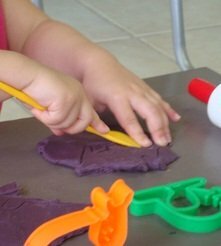 Fine motor activities are important skills for School Readiness. Between the ages of three and five children usually make rapid progress in developing fine motor skills and manual dexterity. However, these skills still require time, patience and plenty of practice. Tips for teaching Writing Left-handed. Hand-eye co-ordination - the ability to execute activities with the hands, guided by the eyes requiring accuracy in placement, direction, and spatial awareness. Ocular motor control - the ability of the eyes to follow and focus on an object in the field of vision as required.COPYRIGHT. DO NOT COPY. Manual dexterity - the ability to accurately manipulate the hands and fingers for neat handwriting, drawing, typing skills etc. Foot-eye co-ordination - the ability to execute actions with the feet, guided by the eyes.COPYRIGHT. DO NOT COPY. Tactile perception - the interpretation of information transmitted via the fingertips to the brain.COPYRIGHT. DO NOT COPY. Stereognosis - the ability to recognise unseen objects using the sense of touch.COPYRIGHT. DO NOT COPY. In order for children to develop good fine motor skills, there are also other supporting skills that need to be well-developed. For instance children need to have strength and dexterity in their hands and fingers before being required to hold a pencil correctly and begin writing activities. This can help avoid incorrect pencil grips. No matter how proficient your child is at any given skill, always encourage and motivate her with plenty of positive reinforcement for her efforts. Remember, that each individual has their own unique strengths and weaknesses. Children need to learn to improve their weak skills to an acceptable standard, compensate for them where necessary while focusing on, developing and enjoying their strengths and talents. No one is good at everything. 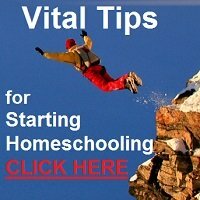 The object of these stimulating activities, is to help your child develop each area to her unique potential, not to over-stimulate or try and develop super-babies! The following are suggestions of activities you can do with your child to develop fine motor skills. They are aimed at 3-5 year olds, but since this is a wide range, you should adapt them according to your child's proficiency. 1. Manipulation activities COPYRIGHT. DO NOT COPY. 1.2 Tearing paper into fine strips - use them for collage or crumple them into balls. 1.3 Screwing up whole pieces of newspaper in one hand at a time to develop strength. 1.4 Threading beads or macaroni onto string.COPYRIGHT. DO NOT COPY. 1.5 Lacing activities.COPYRIGHT. DO NOT COPY. 1.6 Cutting out with scissors, using the correct grip. 1.7 Manipulating clothes pegs to pick up small objects.COPYRIGHT. DO NOT COPY. 1.8 Performing fingerplays.COPYRIGHT. DO NOT COPY. 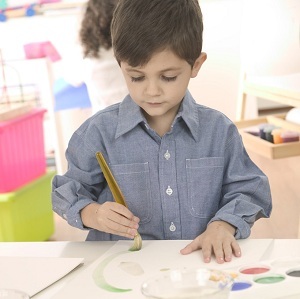 1.9 Many Preschool Crafts such as scribbling, painting, modelling, collage etc. develop fine motor control. 1.10 Preschool sewing activities, such as threading string through holes in card. 2. Sensory activities COPYRIGHT. DO NOT COPY. 2.2 Picking up small objects with the fingers, like pegboard pegs, rice grains etc. 3. Activities to develop stability COPYRIGHT. DO NOT COPY. 3.1 Wheelbarrow walking, crab walking, hanging on playground apparatus to develop strength of the upper body. 3.2 Working on a vertical surface such as a blackboard or easel which requires the wrist to be bent back is good for developing fine motor skills. An upright surface encourages a stable wrist position to develop good thumb movements, strengthen fine motor muscles and encourages the use of both the arm and shoulder muscles. If you don't have a blackboard or easel, tape some newsprint to the wall and have your child draw and scribble on that. Let her draw large circles, using each hand respectively. Let her draw lines right across the sheet from top to bottom, diagonally and horizontally in both directions, using each hand respectively. 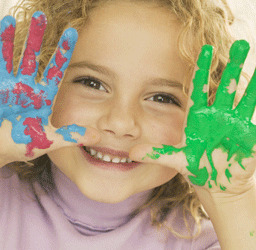 Subscribe today to THE WHOLE CHILD, a free e-zine packed with age-appropriate preschool activities to stimulate your children in a variety of ways, plus useful tips and info for YOU, delivered regularly to your inbox. In just a few minutes, doing one easy activity a day, you can have fun and interact your children in a way that will stimulate their all-round growth and development. 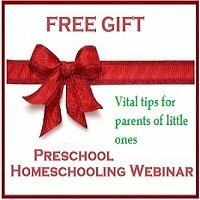 Click on the links above for more information describing and explaining the importance of these activities, as well as some samples of the kinds of free preschool activities you can expect in THE WHOLE CHILD e-zine. THE WHOLE CHILD e-zine will be mailed out soon, so sign up for free preschool activities today by completing the form above.